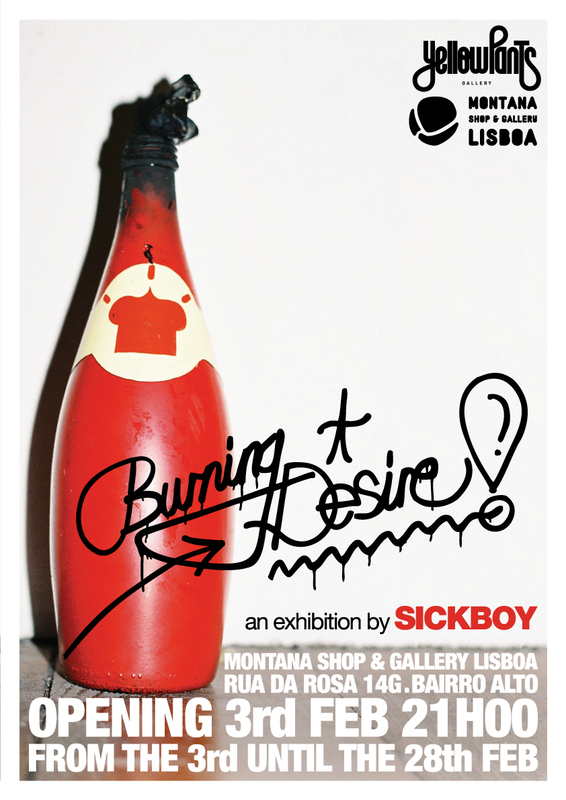 Dia 3 de Fevereiro apareçam na montana shop and gallery na Rua da Rosa, Bairro Alto para a inauguração da exposição BURNING DESIRE do Sick Boy!! Não se vão arrepender!!! 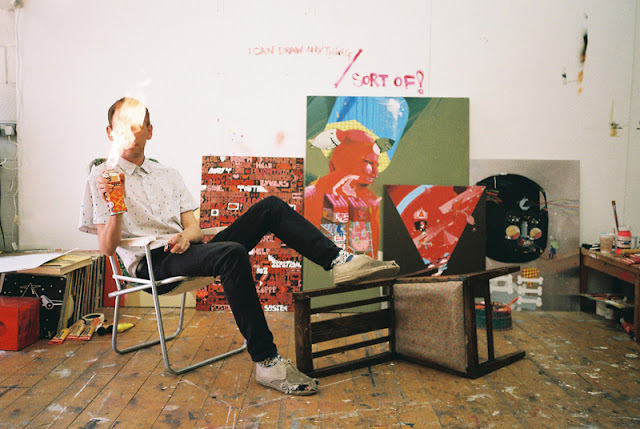 "About the Artist: A leading artist to emerge from Bristol’s infamous graffiti scene, Sickboy’s humorous work has cemented his place in the upper echelons of the British street art movement. 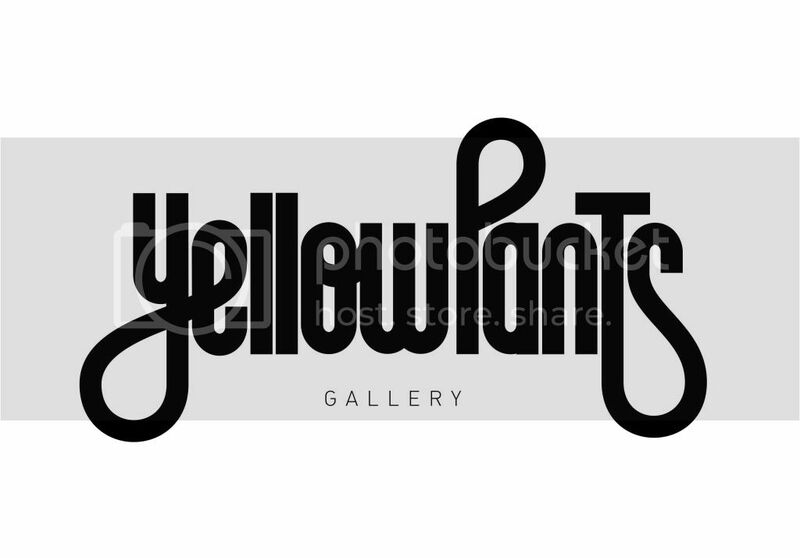 He is one of the first UK artists to use a logo in place of a tag, and his red and yellow street logo known as 'The Temple' can be seen on walls and wheelie bins worldwide. 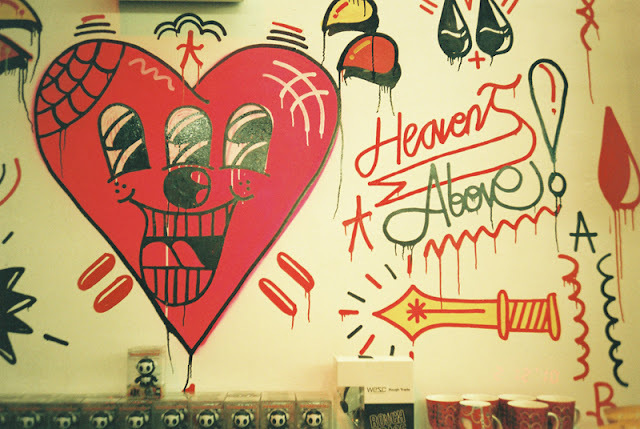 A long-serving artist with Pictures on Walls,Sickboy has built up one of the largest bodies of street art works in UK history and he is tipped by the leading financial press as one of the movement’s most investable and influential artists. His temples, slogans and street stunts – including the caged heart installation dropped outside the Tate Modern in 2008 – have landed him global recognition. www.thesickboy.com "
De nada, adoro o teu blog!